54-HOLE STROKE-PLAY TOURNAMENT with a cut after 36 holes to the leading 50 players and ties for the final 18 holes. Super senior prizes. PRACTICE ROUNDS to be played on July 16 and 17. All practice rounds must be booked via the professional shop on 01651 872294. PRACTICE BALLS available on tournament days free of charge. 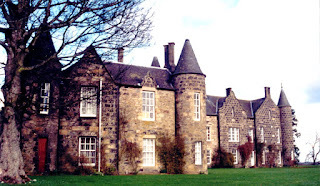 ACCOMMODATION: MELDRUM HOUSE COUNTRY HOTEL. Situated on the course. A special rate for players has been negotiated for players playing in this event and can be booked on the following number 01651 872294. Or alternatively by phone to Mike Best on 07855 767906 or Rob Jones on 07795 414040. Closing date for entries will be 1 pm on Monday, July16. All entry fees must be paid at registration on Monday., July 16 or Tuesday 17th July 4.30 pm and 6.30 pm. All entries must be paid in cash , UK sterling. +The tournament is open to all professionals and amateurs aged 48 or over with the proviso that the amateurs have a low handicap.